I love Valentino. 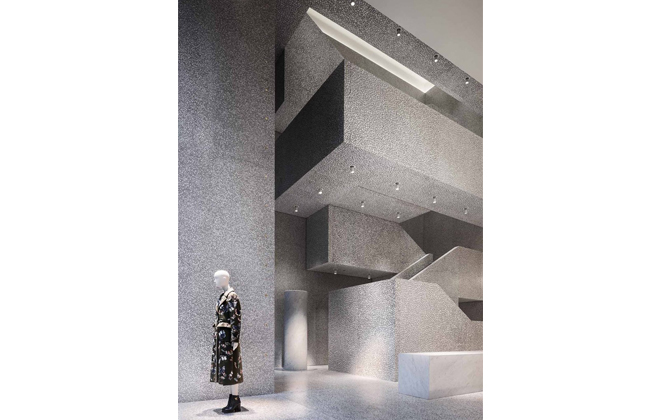 This is fairly evident for anyone who reads Interior Monologue, but I thought that I would take a closer look into another side of one of my all time favorite fashion houses: the David Chipperfield designed flagship store on Madison Ave. 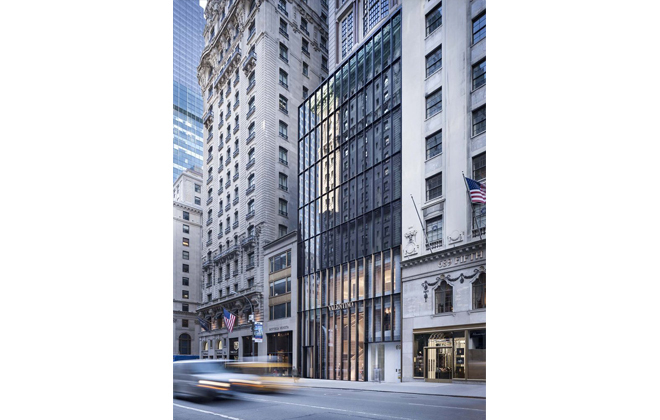 Opened in 2014, the building’s interiors are designed to evoke a modern palazzo feel, smack dab in the middle of Manhattan, while the new glass and black steel facade pays homage to its architectural forebears like Mies van der Rohe’s iconic Seagram’s building just a couple of blocks away. Isn’t this interior so original? Details like the mirror being warpped in light with brass makes my heart sing. I also love how Chipperfield incorporates the history of the building and the mid-century minimalist design movement into the sleek new facade. The original building was designed by John Burgee and Philip Johnson, and functions as an updated nod to the Seagram’s building, which features Philip Johnson interiors, and happens to be another one of my all time favorite New York buildings. 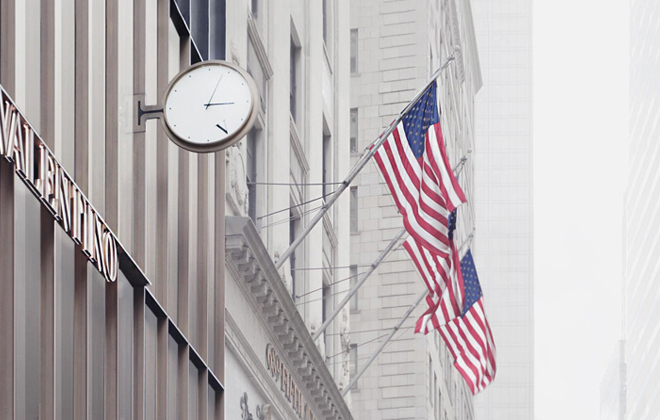 The stunning glass and steel facade reminds me of my beloved Seagrams building. 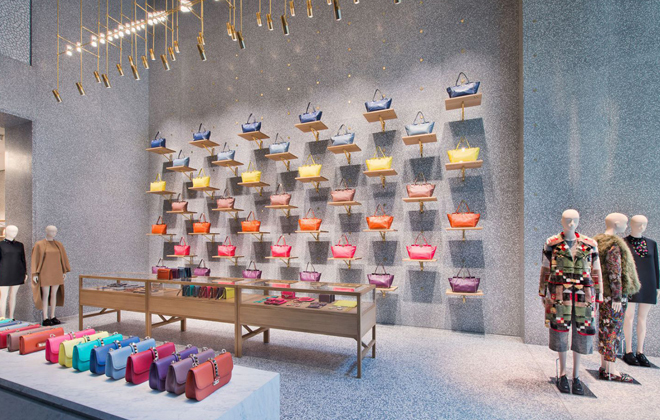 A detail of one of my favourite elements of this store design. 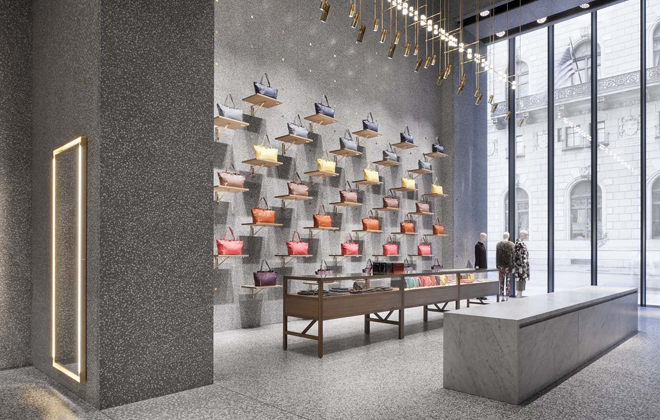 And the icing on the cake may be Chipperfield’s beautifully minimal clock, which he designed exclusively for Valentino, with the iconic ‘V’ denoting the 5 o’clock hour on the otherwise blank face. It’s the little details like this that define luxury for me; the small aspects that are so easily overlooked, yet when designed and produced right, pull everything together. That, plus some gorgeous, drool-worthy clothes hanging on the racks!